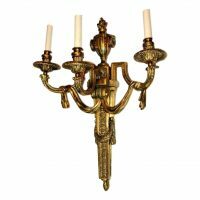 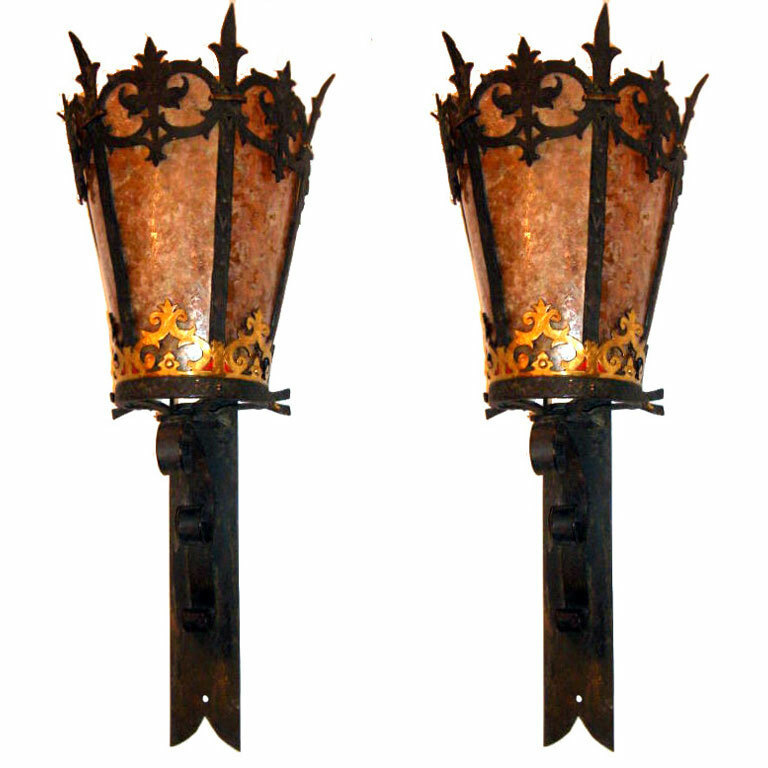 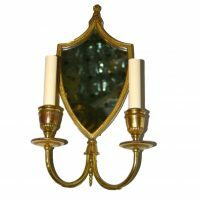 Pair of American circa 1930’s large wrought iron sconces with mica shades. 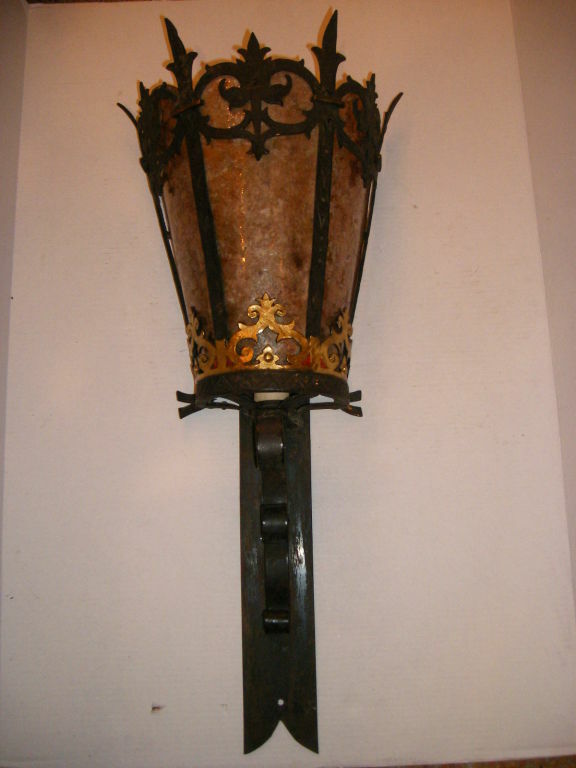 The torch like bodies with some gilt detail. 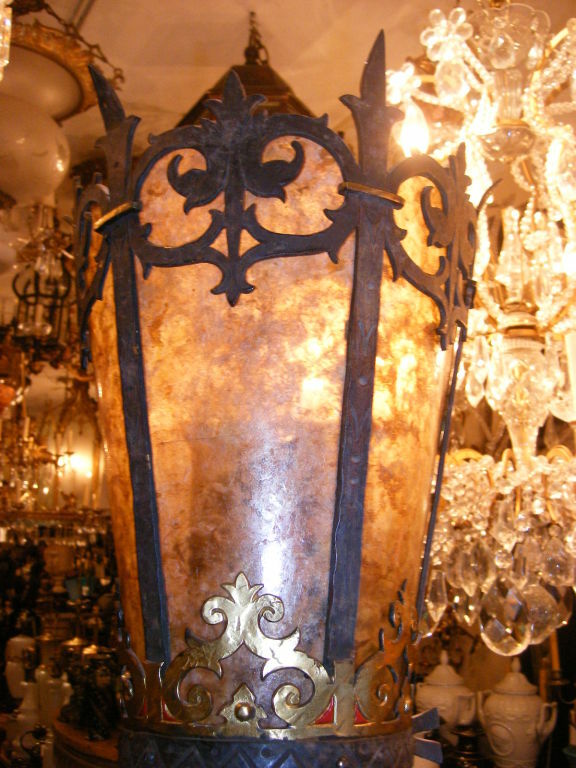 Interior lights.